Replacing windows or doors in your home should never be done in haste. This is because the process can be costly, and you do not want to have hired the wrong people to do it. A company that is not qualified for the job of installing the new windows or doors can end up costing you much more money. To ensure that you have chosen a reputable Brookfield, WI replacement windows and doors company, ask them these following questions. This is probably the most important question you can ask from any contractor or company that offers home improvements. You never want to hire people who are not insured, because if any damage occurs, you will be stuck having to pay for repairs out of your own pocket. The same thing applies with licenses. Make sure that the company has licenses that are valid in the state. Installing replacement windows or doors is not for amateurs. You want people who have done this kind of work time and time again, so that you know that if any issues arise, they will be able to tackle them. Many times, companies that are new will offer discounts or less expensive rates, but it is best to choose a company that has years in the business. This is another important question to ask, especially if you have windows or doors that are larger than normal or of an irregular size. If you are looking for a particular material, you should also look for a company that can provide this option. For products that are “green”, in particular, you should ask to see samples and read up on the options they offer. Even if the company has been in business for a long time, you should ask for references to see what kind of experiences people had with the company. Most contractors offer up to ten references, though it is not necessary to check on all of them. Choose a few and contact them to see if they recommend the company and if they are happy with the results they provided. 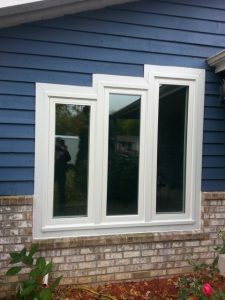 These simple group of questions can make a huge difference when searching for replacement windows and doors in Brookfield, WI. Even if you can find the answers on their websites, take the time to ask them in person, too. Their answers will give you a good idea of the kind of people you will be hiring. Ask to see entire price lists and to see samples of their work. Most of these companies have showrooms you can visit, so ask about this. If you are still not sure about the company, read as many reviews as you can find. A company like Wisconsin Weatherall is the type you need working for you. Find them by visiting them at S28W31135 Wild Berry Ln Waukesha, WI 53188 or by calling (414) 305-2622 now.